On Earth-2, she’s not a Canary, but she may be a … Siren! Arrow producers confirmed today that Katie Cassidy will be appearing on an upcoming episode of The Flash as the Earth-2 version of her character who is called “Black Siren” on the other world. 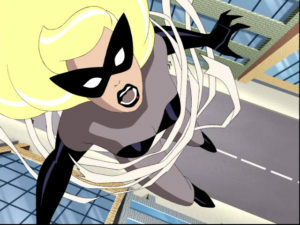 The name may be different from “Black Canary” but there’s precedent for that, as “Black Siren” was the name of an analogue for the Golden Age Black Canary in the Justice League animated episode “Legends” written by The Flash’s own Andrew Kreisberg. 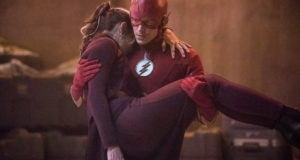 TVLine reports that we can look for Katie in the 22nd episode of The Flash’s current season, scheduled to air on May 17. Hopefully she isn’t evil or if she is they can make her defect to their side. Also if she is the villain they better not kill her off because Flash has a habit of having it’s villains die. It would be terrible having Katie Cassidy’s character die twice in one year.